The humble Ixus 95 has been propping up Canon's stylish range of lifestyle cameras for around a year, so it's surprising to see it being be put out to pasture. But technology's march is relentless, so the 95 shuffles off into retirement and the Ixus 105 bursts onto the scene. The problem is that in the past year there have been few major improvements in the world of compact cameras - sensors have remained the same size, and the Ixus 105 is powered by Canon's DIGIC 4 processor, just like the outgoing Ixus 95. Still, if you're in the market for a new digital camera Canon is always going to feature prominently on the shortlist. 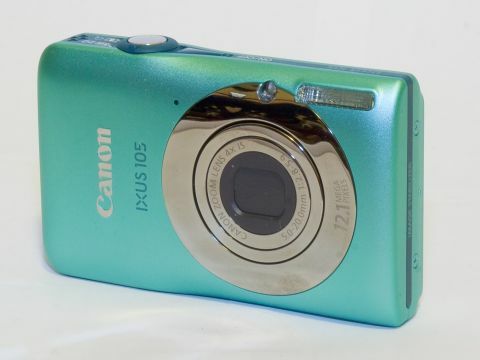 While it might be a shame to see production of the Ixus 95 (which now costs only around £130) coming to an end, there's nothing to suggest Canon can't turn out point-and-shoot cameras that put the rest of the market to shame. But there's stiff competition: the £200 mark is a busy place for compact cameras, with competitors such as the Panasonic Lumix FS30 offering terrific performance and even more megapixels. How does the Ixus 105 fare?